The waqf (i.e. wakaf / awqaf) institution is a permanent charity in the Islamic system. Waqf is an Islamic economic tool that can enhance and enhance the socio-political of the ummah. The famous waqf is the waqf of land and waqf of money (cash). The waqf of land is very familiar in society, most of its main goals for individuals or institutions donating land for waqf are for education and Religion. Waqf of money is also a tool to improve the social economy of the ummah. Cash waqf is a form of certificate that will be offered to individuals or institutions as a way of earning money for planned projects. Waqf comes from the Arabic word, “Waqafa” or “hurbs” an Arabic masdar. In Islamic terminology, waqf means “a dedication of property either in expressed terms of by implication for any charitable or religious object or to secure any benefit to human being” which means to hold still and last long. In brief, Waqf is transferring personal properties into public properties. Waqf asset cannot be disposed, its ownership cannot be transferred, only its benefits are to be used for the specific purpose(s), which is (are) mainly charitable in nature, and It is a voluntary charity characterized by perpetuity. It is also evidenced in the Sunnah that many great personalities of Islam had waqf their properties in a different form. The institution of waqf was developed throughout the Islamic history, since its commencement during the time of Prophet Muhammad (s.a.w) until today. The first Islamic waqf is the Mosque of Quba’ in Madinah al-Munawwarah, which was built upon the arrival of the Prophet Muhammad (s.a.w) to this town in 622 A.D370. This was followed by many other waqf activities during the time of the Prophet and was further developed during the reign of the Khulafa‟ al-Rashidin and the subsequent period of Islamic ruling. The above kinds of waqf normally referred to as the religious waqf and there are other kinds of waqf such as philanthropic waqf which also include the waqf for educational purposes and posterity of family waqf. Who’s Taking Care Of It? In Malaysia, Waqf affairs are the responsibility of the Islamic Religious Council of each state. The Islamic Religious Councils are empowered to administer and manage Waqf properties. There are 14 State Islamic Religious Councils, one for each of the 13 states and one for the Federal Territory. Beside the Islamic Religious Council, the government of Malaysia has formed a Department for Zakat, Waqf and Hajj (JAWHAR) under the Prime Minister‘s Department on the 27th March 2004 with the aim of making the administration systematic and effective. Considering the classical definition of Waqf in the Islamic Law, the holding and preservation of property as common, whose usufruct and revenues are exclusively used for the defined aims and objectives, and prohibiting the use and/or disposition outside the defined purposes. The centralized administration of the Waqf properties under the state authority is important to ensure a proper record being kept and the state able to place a complete database of its Waqf. In modern practice for the management of Waqf properties, a trustee from a government institution will be appointed. The trustee is called a Mutawalli or Nazir. A Mutawalli is an individual who is appointed by the Waqif (founder of the Waqf). A Waqf is created for any religious cause and is not necessarily confined only to mosques and cemeteries. It can also be used to fund and maintain schools, hospitals, and other charitable institutions in the fields of education, healthcare, and even also in infrastructural works such as road, water canals, and bridges. The appointment process of a Mutawalli is conducted in the light of the administration of Waqf based on the terms of the Waqf deed which certainly contains a provision for the appointment of an administrator or a Mutawalli. The power to appoint the Mutawalli is primarily within the jurisdiction of the Waqif as per Classical fiqh rules. Furthermore, the Waqif could also choose an individual known for his trustworthiness as a Mutawalli to manage the Waqf property for the benefit of the beneficiaries. In case of Waqif‘s death, the office of the manager would go to the person appointed by him as stated in the Waqf deed. In the absence of such an appointment, the Syariah Court will appoint a Mutawalli for managing the Waqf. Helping The Ummah Brings Goodness. Zakat on Your Cars and Houses? 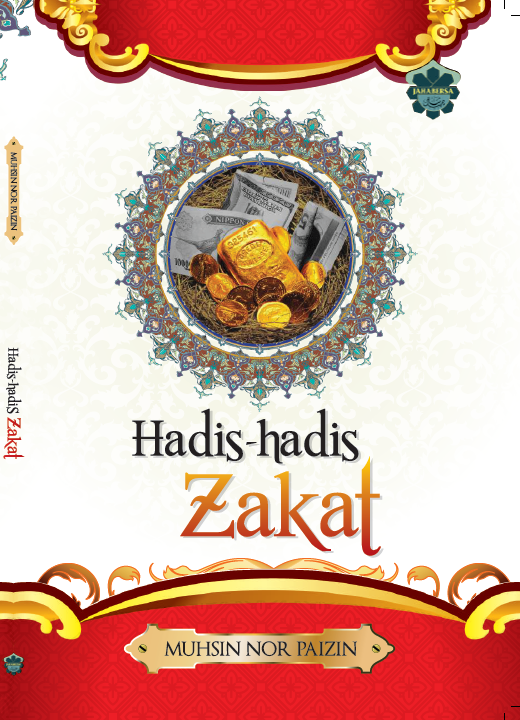 Who are The People Entitled to Receive Zakat? The Difference Between Zakat and Sadaqah. Terjumpa ni bila jalan-jalan.. bukan selalu dapat tengok ni..
AZKA Discourse 1/2019: My first conducted intellectual program in new unit @pusatpungutanzakat ; our main discussion is Digital Asset: Zakatable or Not?